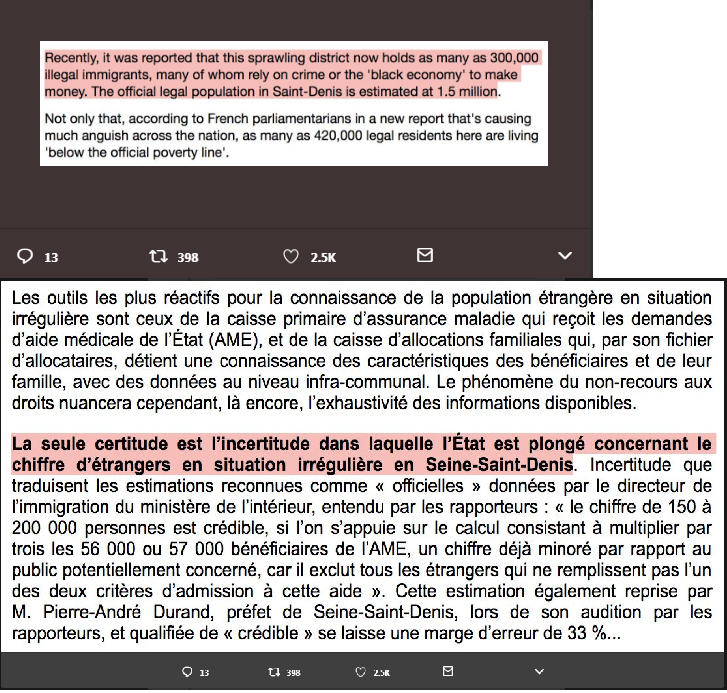 French activist Marwan Muhammad was so incensed by a Daily Mail article that linked ‘immigration on a mammoth scale’ to drug dealing, crime and poverty in the French neighbourhood of Saint-Denis, in northern Paris, that he sent a series of hilarious tweets to the Daily Mail ridiculing the newspaper for its inaccuracies. Below we reproduce an edited version of Marwan’s critique of Andrew Malone’s article which first appeared in the Daily Mail on 28 July and was subsequently removed from its website. Hello @MailOnline. I’ve read your ‘devastating’ article on ‘illegal migrants in Saint Denis’. We too in France have tabloids which couldn’t care less about the truth, but I really have to say, you’re in a league of your own. Everything in your paper is wrong. Mistake 1. From beginning to end, your reporter confuses Saint Denis (the city) and Seine Saint Denis (the département). There’s a small difference between the two. 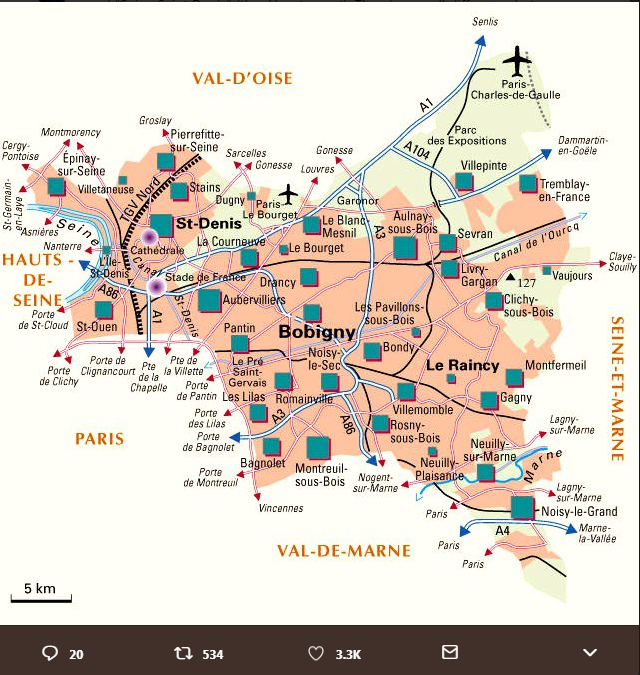 Seine Saint Denis includes 40 cities, over 236km2. A simple look at a map would have saved you the trouble. Mistake 2. Your reporter misinterprets the facts. It might be useful to know, as a ‘journalist’, that in France it is forbidden to take pictures of someone without explicit consent. This is punishable by law, with fines of up to 45,000 Euros. Also, Saint Denis includes 90+ nationalities (also including, presumably, white people). So the ‘odd looks’ your reporter refers to have nothing to do with his skin colour, but rather (if it is true), with his stalking and impolite attitude towards inhabitants (as we’ll see). Mistake 3. Your reporter claims that [here] it’s more difficult to ‘sell’ for real estate agents. 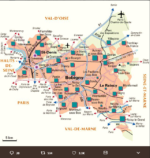 A quick look at the data on this website shows that buying/selling in Saint Denis is as dynamic as anywhere around Paris. There are loads of new building programmes. Mistake 4. (The worst). Your reporter claims there are ‘as many as 300,000 illegal immigrants’ in Saint Denis ‘according to French parliamentarians’. They say the exact opposite, i.e. ‘The only thing we are sure about is that the State doesn’t know how many illegal immigrants there are’. So where did your reporter get his fake story of hundreds of thousands of illegal migrants in Saint Denis? Simple, on far-right websites which are known to invent statistics, spread fake news and stigmatise communities. Mistake 5. There are no religious courts in France (unlike in other countries) and no Sharia councils (except in the mind of the worst Islamophobes). The same laws apply everywhere in France, to everyone. Where precisely did you see this? Mistake 6. Your reporter refers to the 2010 ban on the niqab as a law ‘promoting integration’. There is absolutely no such thing in the [text of] the law. It focuses on security. And has produced the exact opposite impact on. Mistake 7. The word ‘clearly’ covers no fact. What evidence does your reporter provide to substantiate his claim that these items are stolen? Suburbs around Paris have dozens of markets (sometimes informal) where these items (mostly second hand) are sold. And yes, SOME are stolen. Mistake 8. Your reporter presents the fact that police officers are armed and that there are several in the vehicle as something exceptional. This is standard procedure… teams on patrol and carrying their weapons is standard policy in France (unlike in the UK). Mistake 9. There are a dozen mosques in Saint Denis, not 160+. If you have this list of the mosques you’ve visited, please share. I’m sure Muslims in St Denis would love to enjoy new places of worship, unbeknownst to them so far… And thanks for the discovery (or the creativity). Mistake 10. There are no ethnic/religious statistics in France (least related to criminality), so where did you get this quantitative assessment of drug-related criminality in Saint Denis? Mistake 11. You suggest in your article that somehow, Christmas is cancelled in Saint Denis? Here’s [a picture of] the Christmas market in Saint Denis, right in front of the city hall, where everybody can come. There are dozens of activities during the holiday period, all across the city. Mistake 12. You suggest in your article that the average pattern for Muslim woman to wear the hijab is for safety reasons. An anonymous study shows that 23 per cent of Muslim women wear it. Are the 77 per cent others in serious danger? As for those who wear it, 76 per cent do so for religious motivations. Mistake 13. You quote Yasser Louati of CCIF. Mr Louati left this organisation in June 2016 and has started another NGO since then, Comité Justice & Liberté. Hit refresh on your computer and respect both entities, by properly crediting them. Mistake 14. You imply that Jean Louis Borloo is a ‘left winger’. Lol. He’s a very well-known politician in France…. from the centre-right. A simple visit to Wikipedia would have saved you this one. Mistake 15. Your reporter claims that after a week in Saint Denis and dozens of interviews, only ONE person accepted to shake hands. Others consistently ‘offered their wrist’ (because he is) an infidel’. I was dead laughing when I read this part…. At least when you invent a lie, try to make it look credible. So, in summary, from the very first line to the last, your article is a sum of lies, inaccuracies, factual mistakes and data/quotes with no sources. If this is your definition of journalism, then don’t be surprised when people call you a racially obsessed tabloid, with no ethics. This is brilliant. Shows up the Daily Mail for what it is!